On arrival all employees should be in uniform and wearing an ID badge. The lead technician should meet with the location manager and do a quick walk-through to explain the cleaning that will be preformed and look for problem areas. Fan and system will go through a test run to ensure everything is running properly. Kitchen will then be wrapped in plastic to protect appliances and equipment. A plastic curtain will be placed around the hood, creating a funnel to capture any waste water and chemicals. Filters removed and prepped for cleaning. - Technician will go to the roof and shut down fan. - They will check the fan belt and replace if necessary. - They will listen to the bearings and motor for irregularities. - They will also check airflow (draw) to ensure adequate ventilation. 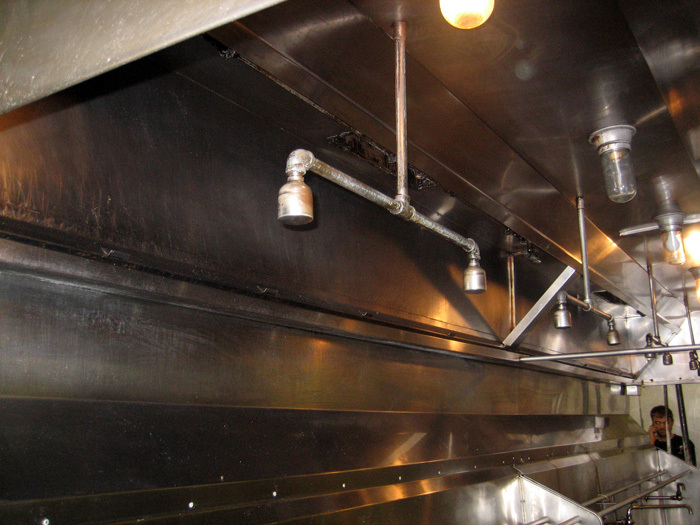 The entire up-blast fan will then be cleaned including the fan blades, back of the fan blades, the air band (bowl) and the grease trap with a non-etching, degreasing foam. (Fan will be scraped if needed.) Vertical ductwork, horizontal ductwork, plenum and filter gutter will then be cleaned with foaming degreaser and allowed to dwell. Any remaining buildup in the system will be scraped or chiseled out. 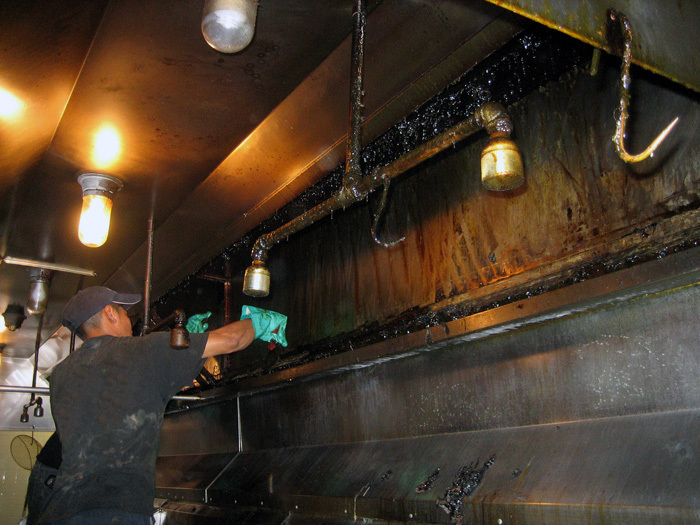 Then the entire system will be steam cleaned to remove all grease, buildup and chemicals down to the bare metal. After cleaning horizontal ductwork the access doors that have been opened should have a service sticker showing the date cleaned and the technician’s name. (per NFPA 96) Plastic curtain will then be removed. The inside and exterior of the hood will undergo one final hand cleaning and polish will be applied. 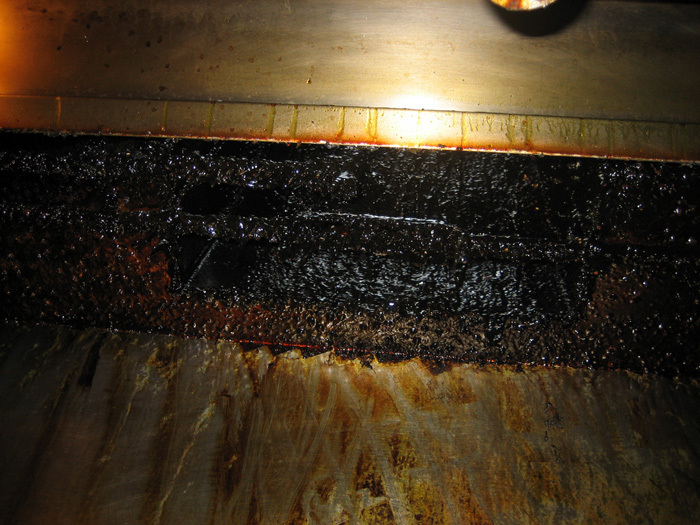 Filters and Grease Catchers will be thoroughly cleaned and re-installed. 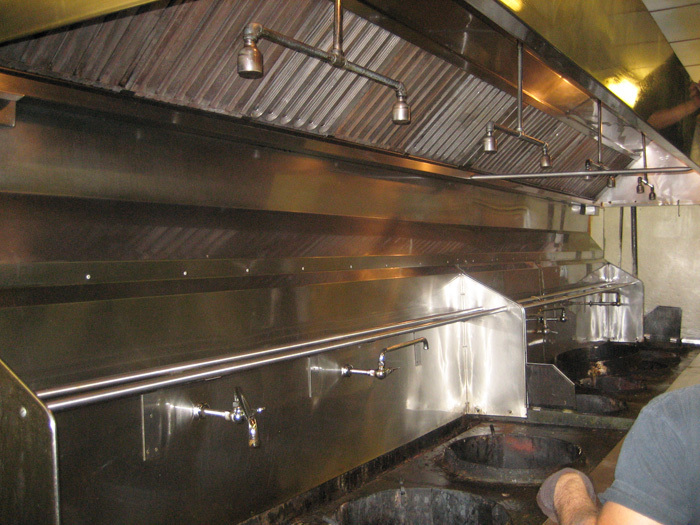 The entire kitchen will then be cleaned and organized to ensure that it looks as good as or better than when the service technicians arrived. Service stickers will be added to the hood showing the date of service, company name, technician’s name and any areas not cleaned. (per NFPA 96) System will be turned back on and allowed to run to expedite drying process. A Post Service Report will be filled out noting any deficiencies and/or challenges. Pictures of the entire system, including all ductwork, fans, and hoods will be taken for company and customer review.